Development, testing, review, approval, and marketing of biosimilar drugs in the United States presents unique safety and regulatory challenges (1). By contrast with traditional small-molecule drugs, biologics derive from sources such as genetically engineered cell lines, plasma, and tissue specimens (2,3). Patents on first-generation biologics approved and marketed in the United States have begun to expire, thereby opening the market to less-expensive “generic” versions. The complexity of biologic drugs and the specificity of their source materials, however, make it impossible for such follow-on products to be exactly the same as their brand-name predecessors; thus, they cannot rightfully be considered generics (1,3). Because of their complex nature and size, biologics also tend to be more immunogenic than traditional small-molecule drugs. Although the immunologic reactions that most biologic drugs trigger tend to be relatively harmless, there have been cases in which the unexpected immunogenicity of a new or approved drug has caused severe injury or death (4,5,6). Many experts argue that follow-on biologics should not be reviewed and approved using the same regulatory pathways as for generic versions of small-molecule pharmaceuticals (7,8). Agreeing with their concerns, the European Medicines Agency (EMA) recently created a series of novel requirements for approving biosimilar drugs. For example, the agency requires that generic manufacturers not only show bioequivance of a biosimilar drug with its brand-name counterpart, but they must also conduct additional clinical trials to demonstrate comparable safety and efficacy (9,10,11,12). The EMA may also require extensive postmarketing studies. Although similar guidelines have not yet been issued in the United States, the Food and Drug Administration (FDA) is expected to follow suit in early 2011 — despite some opposition to the establishment of new processes that potentially slow the review, approval, and marketing of follow-on biologics. What has rarely been discussed, however, are the ethical bases and potential consequences of these novel regulatory pathways and requirements, both for patients and for research study participants. The European requirements for performance of additional trials to ensure the safety of follow-on biologics do, prima facie, f it with EMA’s responsibility to protect and promote public health through evaluation and supervision of medicines for human use (13). Similar regulations — if promulgated in the United States — would f it with the FDA’s mission to protect the health of the American public by ensuring the safety and efficacy of drugs licensed and marketed in the United States (14). The rigorous review and approval process for follow-on biologics in Europe, for instance, is a good example of a regulatory pathway that is, for the most part, justified from both both scientific and ethical perspective. Postmarketing studies of the antianemia drug Procrit (4) and follow-up studies of TGN1412 (5,6) clearly showed that performing extensive laboratory, animal, and clinical trials of new biosimilars is essential for protecting the health and wellbeing of pharmaceutical consumers. Data obtained from examining those two tragic examples post-hoc provide important information that help researchers and drug manufacturers understand and anticipate potential risks posed by biosimilar drugs (15). collect a broad-range of data about long-term health outcomes (15). Current EMA (and likely FDA) guidelines require such studies. Although these regulatory requirements meet the agencies’ ethical responsibility to protect consumers, drug manufacturers and policymakers must also ensure that additional clinical trials required to demonstrate the safety and efficacy of biosimilars do not violate key ethical principles by putting study participants at risk. To understand the role that research ethics principles play in the review and approval of biosimilar drugs, consider the origin of these principles in the United States. American researchers, donors, policymakers, and regulators have used many ethical codes and frameworks developed over the past 30 years to guide their decisions on drug development, testing, approval, and marketing. The first broadly recognized codes were the Nuremberg Code (16) and the Declaration of Helsinki (17) — which emerged in 1946 and 1964 — respectively, in response to the abuse of prisoners of war and concentration camp victims during World War II. However, the 1979 Belmont Report most clearly articulates the fundamental ethical principles to which most researchers and regulators currently subscribe. Justice — ensuring reasonable, nonexploitative, and well-considered procedures are administered fairly. ugh unreasonable promises of compensation or benefit (respect for persons). The principles also require that risks to participants be properly minimized and benefits both to participants and to society are maximized (beneficence). Finally, they require that individuals and communities recruited to participate in a trial are chosen because they will benefit from the results of the research through access to safe and effective products tested and through capacity-building improvements to community education and healthcare systems (justice). When considering the additional safety and efficacy trials required by the EMA (and very likely by the FDA), the ethical principle that would justify such trials is primarily the principle of beneficence. Often, this principle is interpreted to mean that a trial must have a favorable risk:benefit ratio; that is, the benefits to individual trial participants and/or to society must outweigh the risks of study participation. However, two general rules have been formulated as complementary expressions of beneficence: to do no harm and to maximize possible benefits and minimize potential harms (18). From a societal perspective, both of those complementary expectations are met. Requiring generic drug manufacturers to perform additional safety and efficacy tests of follow-on biologics is important so that regulatory agencies have all necessary information to ensure that such drugs are safe and effective (15,19) and thus meet agency obligations to protect the well-being of consumers. Introducing new follow-on drugs into the market may also provide a substantial cost savings, a clear benefit to economically strained patients and similarly strained insurance and healthcare providers. For participants in biosimilar safety and efficacy studies, as long as rigorous preclinical tests show that a follow-on drug is likely to be as safe and effective as the brand-name biologic, then the first of the two expressions of beneficence mentioned in the Belmont Report (do no harm) would seem to be met. However, in certain circumstances, the second (or even both) of those complementary expressions might be violated. In particular, if not carefully designed, some biosimilar safety and efficacy trials might violate a beneficence-based ethical requirement known as clinical equipoise. Clinical equipoise developed as a way to justify the enrollment of participants in randomized clinical trials without violating the therapeutic obligation of physicians to provide patients with the best treatment possible (20). Therapeutic obligation is the notion that physicians — and by extension researchers — must do what is best for their patients. This idea is one of the oldest traditions in medicine and derives from portions of the Hippocratic Oath that obligate a physician to do what is best for each patient without consideration of other personal or social obligations (21). The Belmont Report took a therapeutic orientation to clinical research, placing a therapeutic obligation on investigators, even those who are not clinicians per se. However, it was Don Marquis who first applied the phrase “therapeutic obligation” to randomized clinical trials like those that the EMA requires to show safety and efficacy of follow-on biologics (22). Building from the Belmont Report, and particularly from the principle of beneficence, Marquis argued that no trial participant should ever receive an intervention known to be inferior to other treatments in the trial or to existing standards of care. Many research ethicists have have since argued that randomized clinical trials— by their very nature — violate a physician’s therapeutic obligation unless there is uncertainty about whether the treatment under investigation is better or worse than existing standards of care. Benjamin Freedman called this state of uncertainty clinical equipoise, writing that randomized trials are acceptable only when there is “no consensus within the expert clinical community about the comparative merits of the alternatives to be tested” (23). Some ethicists have questioned the appropriateness of grounding obligations to research participants in a physician’s therapeutic obligation (24,25), but the concept of clinical equipoise currently provides the ethical justification for studies in which patients are randomly assigned to receive different treatments within the context of clinical trials. Some safety and efficacy trials of follow-on biologics — particularly those comparing newly developed biosimilars with brand-name biologics using a randomized study design — may violate the clinical equipoise requirement. Current bioequivalence standards for FDA-regulated drugs require that generic manufacturers demonstrate, with 90% confidence, that the bioavailability of the generic drug is within 80–125% of the reference (usually brand-name) drug (26,27). This 80–125% range is based on the belief that for most drugs a 20–25% variation in plasma concentration is unlikely to be clinically significant. Although this may be true for traditional small-molecule drugs, it is as yet unproven for biologics. Conducting a study in which some participants receive a follow-on biologic that is known to be only 80% as bioavailable as the brand-name drug — particularly in the absence of clear evidence that a 20% decrease would not adversely affect drug efficacy — would violate the clinical equipoise requirement. Conversely, conducting a study in which some participants receive a biosimilar known to be as much as 125% as bioavailable as a brand-name drug of proven safety and efficacy not only violates the equipoise requirement but might also put participants at increased risk. Because biologic drugs tend to be more immunogenic then traditional small-molecule drugs, the likelihood of triggering a potentially immunologic response may be greater in patients who receive a larger dose of drug. Given these concerns, regulators may want to consider imposing stricter bioequivalence requirements for follow-on biologics entering clinical trials. Ideally, agencies such as the EMA and the FDA could effortlessly create regulatory polices that foster continued innovation and development of newer and more cost-effective drugs (e.g., follow-on biologics) while meeting their ethical obligations to protect public health and minimize risks to research study participants. Although current EMA and proposed FDA policies for review and approval of biosimilars would seem to strike the appropriate balance (particularly by requiring additional clinical tests designed primarily to identify potentially deleterious adverse effects before they pose a risk to consumers), some ethical concerns remain. In particular, these additional trials may help regulatory agencies meet their obligations to ensure the safety of consumers, but the well-being of some trial participants may be put at risk. Additional policies and guidelines may be necessary (particularly with respect to laboratory and animal tests of bioequivalence and safety) to ensure that we meet our ethical obligations to the public and to individual study participants. n Philpott, PhD, is director of research ethics for The Bioethics Program, Union Graduate College, 80 Nott Terrace, Schenectady, NY 12308; philpots@mail.uniongraduatecollege.edu; 1-202-247-5174. 1.) Aagaard, AW, S Purdy, and S. Philpott. 2010. The Review, Approval, and Marketing of Biosimilars in the United States. Part 1: Safety and Regulatory Issues. BioProcess Int. 8:2-6. 2.) Rader, RA. 2007. What Is a Generic Biopharmaceutical? Biogeneric? Follow-On Protein? Biosimilar?. BioProcess Int. 5:28-38. 3.) Schellekens, H. 2004. 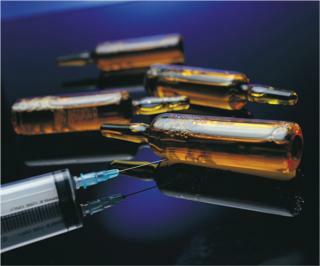 Biosimilar Therapeutic Agents: Issues with Bioequivalence and Immunogenicity. Eur. J. Clin. Invest. 34:797-799. 4.) Louët, S. 2003. Lessons from Eprex for Biogeneric Firms. Nature Biotechnol. 21:956-957. 5.) Giezen, TJ. 2008. Safety-Related Regulatory Actions for Biologicals Approved in the United States and the European Union. JAMA 300:1887-1896. 6.) Hanke, T. 2008. Lessons from TGN1412. Lancet 368:1569-1570. 7.) Herrera, S. 2004. Biogenerics Standoff. Nature Biotechnol. 22:1343-1346. 8.) Center for Drug Evaluation and Research 2007.Abbreviated New Drug Application (ANDA) Process for Generic Drugs, US Food and Drug Administration. 9.) European Medicine Evaluation Agency 2005.Guideline on Similar Biological Medicinal Products, EMEA Committee for Medicinal Products for Human Use. 10.) European Medicine Evaluation Agency. 2006.Guideline on Similar Biological Medicinal Products Containing Biotechnology-Derived Proteins as Active Substances: Non-Clinical and Clinical Issues, EMEA Committee for Medicinal Products for Human Use. 11.) European Medicine Evaluation Agency 2006.Guideline on Similar Biological Medicinal Products Containing Biotechnology-Derived Proteins as Active Substances: Quality Issues, EMEA Committee for Medicinal Products for Human Use. 12.) European Medicine Evaluation Agency. 2005.Guideline on Similar Biological Medicinal Products, EMEA Committee for Medicinal Products for Human Use. 13.) European Medicines Agency 2010.Mission Statement, EMA. 14.) US Food and Drug Administration 2010.What We Do, FDA. 15.) Tunis, RR, DB Stryer, and CM. Clancy. 2003. Increasing the Value of Clinical Research for Decision Making in Clinical and Health Policy. J. Am. Med. 290:1624-1632. 16.) The Nuremberg Tribunal Annas, GJ and MA 1947.The Nuremberg CodeThe Nazi Doctors and the Nuremberg Code Human Rights in Human Experimentation, Oxford University Press, New York. 17.) World Medical Association 2008.Declaration of Helsinki: Ethical Principles for Medical Research Involving Human Subjects (Revision adopted by the 59th World Medical Assembly), WMA. 18.) National Commission for the Protection of Human Subjects of Biomedical and Behavioral Research 1979.The Belmont Report: Ethical Principles and Guidelines for the Protection of Human Subjects of Research, US Department of Health, Education, and Welfare. 19.) Lucas, H. 2005. Ethical Dilemmas in Research Quality Assurance. Quality Assurance J. 9:265-272. 20.) Miller, F, and DL. Rosenstein. 2003. The Therapeutic Orientation to Clinical Trials. N. Engl. J. Med. 348:1383-1386. 21.) Buchanan, DR, and FG. Miller. 2006. A Public Health Perspective on Research Ethics. J. Med. Ethics 32:729-733. 22.) Marquis, D. 1983. Leaving Therapy to Chance. The Hastings Center Report 13:40-47. 23.) Freedman, B. 1987. Equipoise and the Ethics of Clinical Research. N. Engl. J. Med. 317:141-145. 24.) Miller, FG, and H. Brody. 2007. Clinical Equipoise and the Incoherence of Research Ethics. J. Med. Phil. 32:151-165. 25.) Veatch, RM. 2007. The Irrelevance of Equipoise. J. Med. Phil 32:167-183. 26.) Center for Drug Evaluation and Research 2003.Guidance for Industry Bioavailability and Bioequivalence Studies for Orally Administered Drug Products — General Considerations, FDA. 27.) Chow, S-C, and J-P. Liu. 2009.Design and Analysis of Bioavailability and Bioequivalence Studies3rd Edition, Chapman & Hall/CRC, Boca Raton.